The entire R/V Lawrence M. Gould crew of scientists, researchers and technicians work around the clock to make sure that science is always happening. However, there are some rare occasions where we can get off the ship and explore the nearby islands. 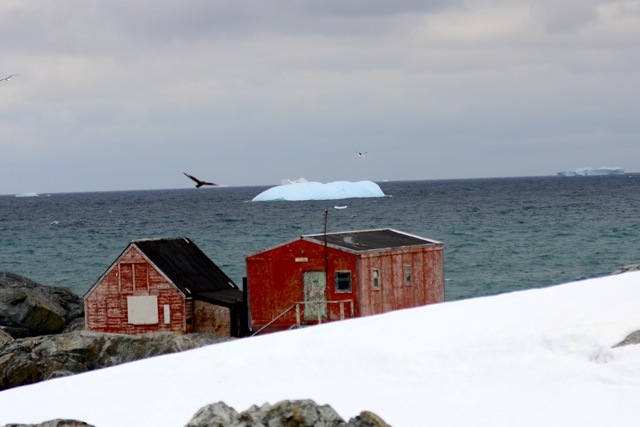 We recently had the chance to explore an island with an abandoned Chilean research station. Buildings at the abandoned Chilean research station (Photo credit: Jo Blasi/Palmer LTER). In the early part of the year 2000, the station was occupied by a team of Chilean researchers. After using the Zodiac to get from the LMG to the island, we hiked up the rocks to the station. 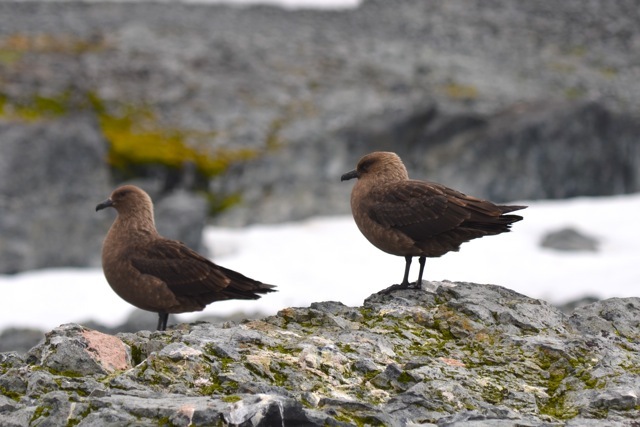 We had to be careful as there were quite a few Skuas around, dive-bombing our heads when we weren’t looking. This is typically a defense mechanism to protect their nests. We walked around a few of the buildings and even took a peak inside. 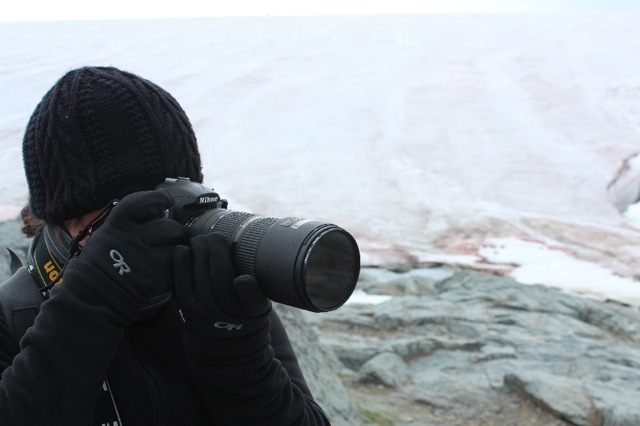 Many of us that explored the island were interested in the glacier behind the station and the population of elephant seals on the nearby beach! Glacier behind the station. 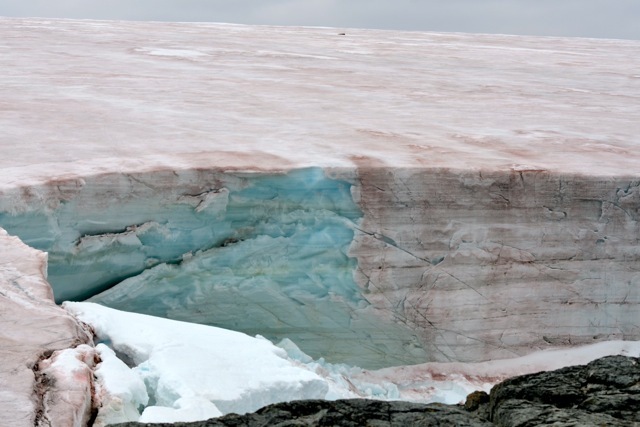 The pink coloration is due to the algae growing on top of the ice. 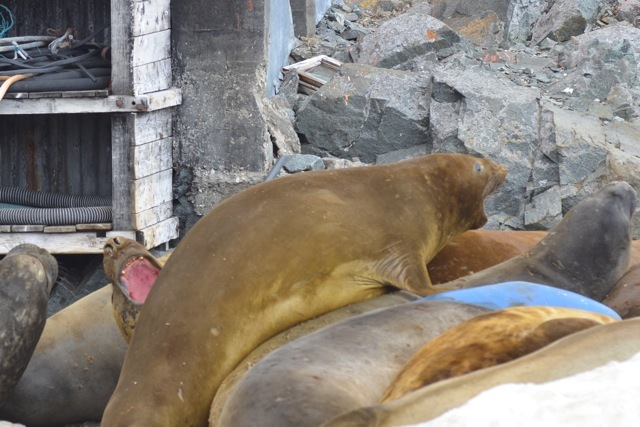 The seals were mostly sleeping during our visit, sometimes crawling over each other for a better spot or sleeping on the building platforms. As we watched them, it was hard not to giggle at the seals making the grossest sounds, almost like someone burping or passing gas! There were both male and female seals around, and occasionally the males would challenge each other for space on the beach. They would rear up, open their mouths really wide and then bump their chests together, sometimes trying to bite the other one’s neck. (See the picture at the top of this post.) The bouts never really lasted long and it was right back to napping not long after the challenge began. Soon the visit was over, and we headed back to the landing spot to wait for the Zodiacs. 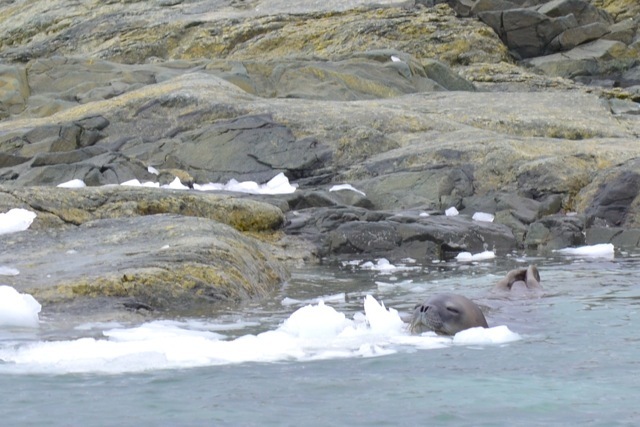 We were all able to get a few last pictures, as there were lots of seals in the water near the island. After our ride picked us up, it was back to the LMG to conduct more science experiments! The trip was a nice break, but now it’s back to work! Sleeping seal. Can ice make a comfortable pillow? 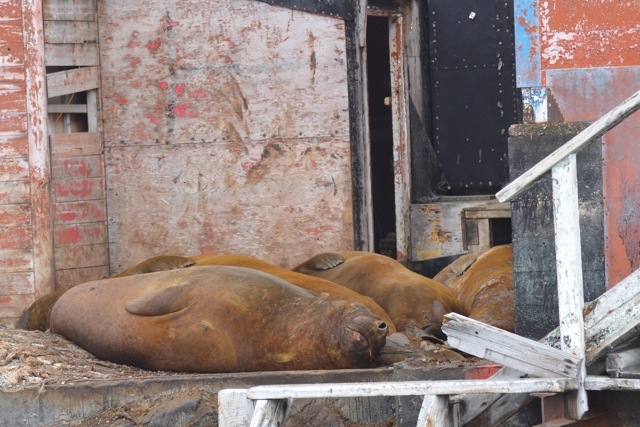 Check back tomorrow for a video of our elephant seal excursion doing their thing. You'll get to hear some of those aforementioned belches! 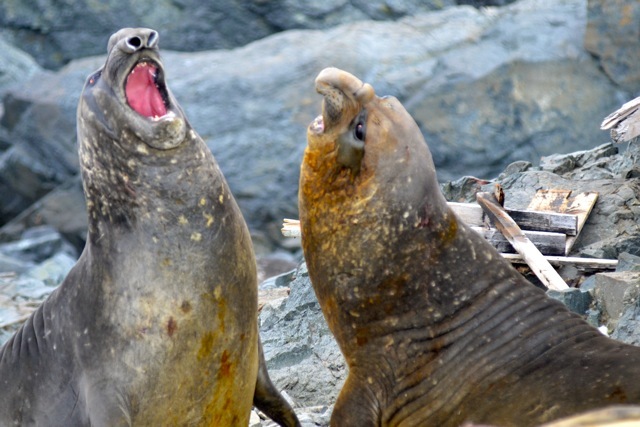 Antarctica Expedition: Elephant seals video! Antarctica Expedition: New Penguin Webcam!